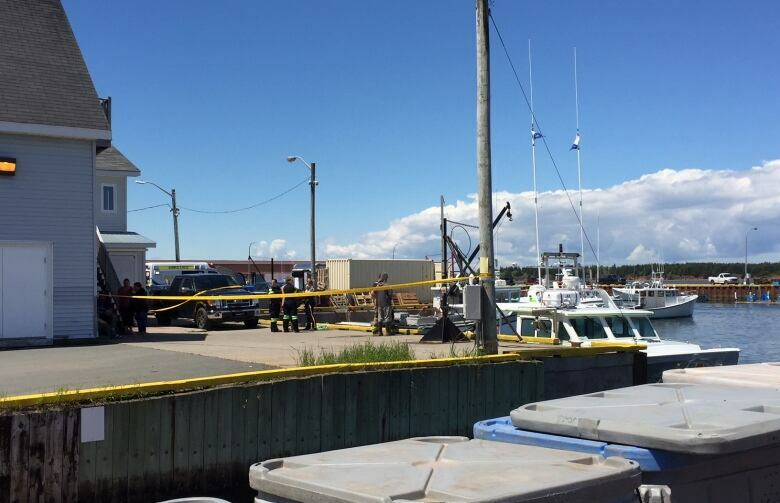 Two men are dead after two fishing boats collided about nine kilometres off southeastern P.E.I., police say. Collision happened Saturday between 10:30 a.m. and 11 a.m., 9 km off southeastern P.E.I. RCMP Cpl. Gregg Garrett said the collision happened Saturday between 10:30 a.m. and 11 a.m.
Police, paramedics and firefighters, as well as officials from DFO, victims services and the Canadian Coast Guard, were at the Beach Point wharf near Murray Harbour on Saturday. RCMP said they weren't aware of any other injuries from the collision. One of the fishing boats has returned to the wharf, Garrett said.